I have to same sewing machine... LOVEEE ITTTT!!! I have a Phaff computerized sewing machine and I love it...I have made a lot of quilts with this machine. My camera was given to me because my brother couldn't fiqure out how to use it.. It's a Nikon D40..with two lenses.55mm 13.5-5.6 and 200mm 1:4-5.6g. I sat down with the instruction book and taught myself what to do with this camera. `I could never afford this camera ~ but was so glad he gave it to me. I love this camera and it takes such great pictures. My grandson, Ben age almost 4 loves to take pic's with this camera too. He takes very good pic's. I have a Bernina too and it's AWESOME! I will never sew with anything else. This is going to sound silly, but I feel like we are already friends. I love to read your blog and see all the great things you come up with and any advice you have. Crafty posts and family posts alike. Thanks for being my favorite! 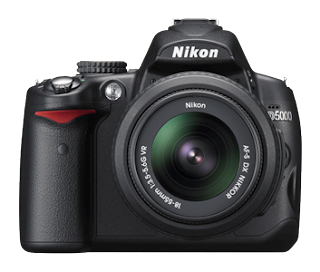 I have a D40 and love it. However, I think it was discontinued earlier this year!! You might be able to find it somewhere still, but I don't know! Thanks for this post- I've been doing some homework on a first "real" camera and also heard Nikon no longer makes the D40. I think the D3000 is now the closest... Can anyone confirm that "the D3000 is the new D40" :) Thanks! Thanks for sharing this info, it was actually really helpful, as the hubs and I are considering a new camera. I do have a question though... where did you get it that they offered classes? Was it a local shop, or a larger chain that I might find in my area? I would love to see 'A Day in the Life"-type spotlight. Well, I'm not going to ask to see you without makeup in case you ask me to reciprocate. That would be terrible. But I'd love to see some behind-the-scenes blog tips kind of thing. I've always wondered how other people actually write their posts. Do they use the 'blog this' function in flickr, or are they like me and start in blogger and do the 'share this' paste thing? I would love to know how others do it to see if I am using the most time effective way. Love your blog - it definitely is very 'first date' polished, and something to aspire to. Well done! I agree with you so much on the classes, that and having some skill for the photos thing, I have been borrowing my father-in-law's Cannon 40D and besides having clearer pictures, they are the same as I always take terrible (ha) You definitely have a skill! As for the sewing machine, I also have a Bernina and I would never use anything else but growing up through my years I have used a million other brands of machines and I will say that old singers are great but the new ones are horrible, especially the cheap ones. For our wedding I got the cheapest Singer target carried, and well it was the bane of my existence and almost lead to me never sewing again until I got the Bernina... ah heaven! Thanks for the post your blog is easily my favorite read! I think a "behind the scenes" series is a great idea! I'm fairly new to your blog and I'd love to see how things tick around here! By the way, I am positively inspired by your creativity and awesome style! I've been busily crafting away here since I found your blog. I'm so excited when I find a quick and simple craft that looks great and is super fun, so I'm pretty much in Heaven here! I think behind he scenes stuff. I think it could be really helpful if someone talked about how they organize their blog photos. I agree with Kristy, I would love to see if I am being efficient. Actually I am sure I am not! I just bought a new sewing machine, (a viking) and I really could go for some video tutorials on how to sew on different types of fabric, when to adjust tension, etc.etc. Do you think you and maybe your expert seamstress mom could do some? That would be great! I'm always on youtube looking for good BASIC sewing tutorials. Behind the Scenes would be great. Very encouraging! Before going to the sewing center to buy a sewing machine I heard many goods things about Bernina and Pfaff so that I didn´t understand why I took the Viking to home. Fault of the saleman! Luckily I didn´t have to regret so much about that. I have a bernina and LOVE IT! I actually bought it used from the dealer, and the best part about buying a bernina is the CLASSES! Just like the camera, learning to use your machine is very helpful! I would love to see more 'behind' the scenes stuff from you! I really like getting to know the people behind the blogs! Thanks for the this post! I shoot canon so I am always interested to hear why people like nikon. I have only shot canon so I just don't know the difference. Oh man, I LOVE the Nikon D40. I get to use one for my digital photography class and everytime I have to return it, I die a little. If they really are discontinued, I think I might cry. Ha ha ha! Love where you think your mom whispered it in your ear as a baby:). So funny. I really don't love my singer, but it was my college present and I'm so glad I have anything to sew with. It does have problems and it wasn't expensive compared to some, but I'm thankful for it! I'd LOVE LOVE LOVE a nice camera. But I think my little point and shoot does pretty good as well. Someday!!! All in due time, right? When I get a lot more money from Blogher:). Mom says to tell you, "Bernina rules." Just kidding. I too would love to see a behind the scene like perhaps you in your footie pajamas. Now that would be a post! I have already been announcing to anyone who cares to hold off on the Christmas presents this year and contribute to the Nikon fund. I love your blog! Behind the scene would be great. I agree with someone else who commented about hearing more about how you do your posts. 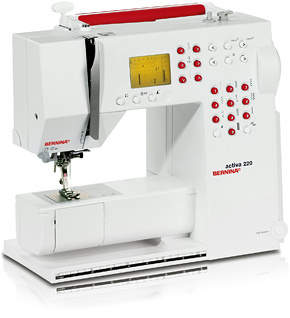 I don't know anything about Bernina as it is not available on our market..at least as far as I know. But I've just bought a new mashine, now I'm a proud owner of Pfaff Select 4.0 - I love it!! It is strong and I love all the things she can do. For photos I use Canon EOS 40D. I've compared Canon and Nikon already and I can not decide which one is better. Nikon i a bit lighter and have a stronger colours maybe... Both are good decision. I like your blog, nice work you do! Regards from Ljubljana! Thanks for your blog and your very regular posts. My sewing machine is an elna (baught in France). I love the idea of recycling old clothes. I must admit I have never had the idea before I started reading your blog. I love it so much that I have starting sewing (I am not an expert) but I enjoy it. I love your blog as it is. I do not have any expectation, I do not think it would be right from me to ask something as you already seem to put so much into it. keep it as it is it is brilliant and very friendly. By respect of all the work you put into it, I have made a promise to myself : leave a comment on a regular basis as suppose the exchange goes both ways. Sorry for my english I have not practiced it much for the last few years. Singers are terrible. That is all I have ever sewn on and there are ALWAYS tons of problems. I'm definitely considering a Bernina. Thanks for the info! I got that very same machine this spring. And our Mom's must have been taught at the same school of sewing, because I've been told the same thing my whole life. Only Bernina! Previously I was sewing on my Mom's old (not kidding) 1969 model. And aside from not having any fancy stuff, it kinda worked great. I do love my new one. And according to her, unless I want a new one, this will be my sewing machine forever. Or until I give it to my daughter so I can buy an upgrade. Which is what my Mom did. Ahh...the joys of being the Mom. I love your blog, both crafts and family content! More behind the scenes stuff sounds great!